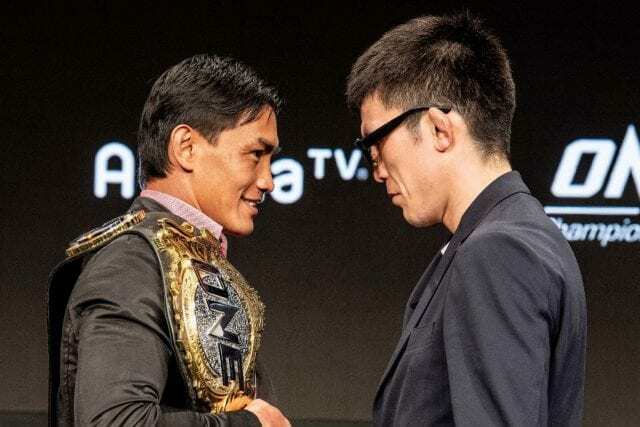 ONE lightweight champion Eduard Folayang squared off with grappling wizard Shinya Aoki in the main event of today’s (Sun., March 31, 2019) ONE Championship: A New Era from Ryōgoku Kokugikan in Tokyo, Japan. ‘Landslide’ was last seen defeating Amir Khan via decision at last November’s ONE: Conquest of Champions. 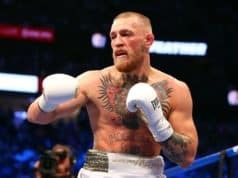 The victory gave him seven wins in his last eight fights. One of those wins was a third-round TKO over Aoki in November 2016. After losing to Folyang and Ben Askren, Japanese great Aoki had rebounded with three straight victories. All were finishes to earn ‘Tobikan Judan’ a title shot. With the previous bouts delivering up to the massive hype of A New Era, the main event needed to deliver to cap off ONE’s biggest-ever event. Aoki was aggressive at the start. Folayang landed a strong right. He followed with a low kick. Aoki answered with kicks and a takedown attempt. ‘Tobikan Judan’ got it and worked for an arm triangle. It was tight and Folayang was in trouble. He refuses to tap and he went out. Aoki puts Folayang to sleep and is the new ONE lightweight champion.